From the beginning, Christians gathered around a table. They gathered to eat and drink. Those two acts: eating and drinking connected them to God and to one another in ways that go beyond symbols. They built a relationship with God and one another which cast the whole thing in a brand new light. It wasn’t just about what they could do to keep God happy. It became how we showed love to God. Because feeding the children of God became the act of the children of God. And Jesus invited them to know this, to relearn this every time they got together. Relearn as they break bread. Relearn as they drink wine. Remember Jesus again like the first time. 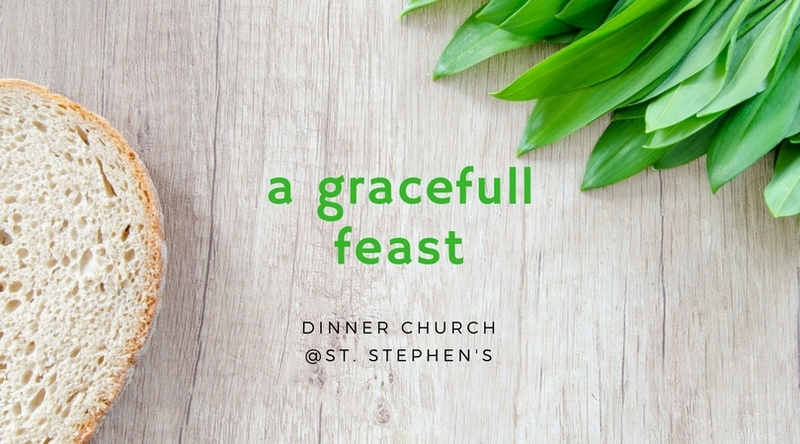 Each Sunday in Lent, we’ll gather for dinner. To learn and relearn as we eat and drink together. And feast in a place full of faith and a community full of grace.